I normally think about photography in terms of making pictures, where one carefully plans out the composition and light, but sometimes you just get lucky and a photo just appears in front of your camera. 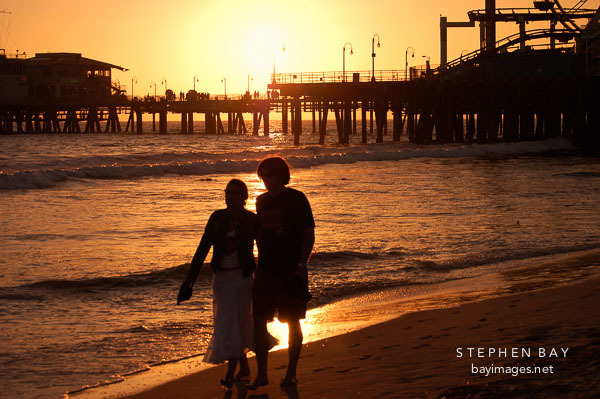 Couple walking at sunset on Santa Monica beach. For this picture, I had setup on Santa Monica beach with the intention of photographing the pier and ferris wheel at night. This couple happened to be walking on the beach in front of my camera (I almost didn’t notice them until it was too late) and I just snapped the picture before they left the frame.